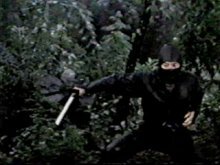 1 - 6) Stealth Ninja Roundup! 7) What was the name of the Teenage Mutant Ninja Turtles' rat master? 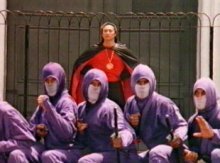 10) Which WASN'T a sequel to the kiddie-ninja flick "3 Ninjas"? 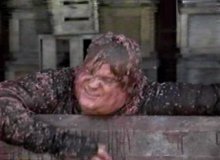 8) What was the "Beverly Hills Ninja" hired to do in the 1993 comedy? 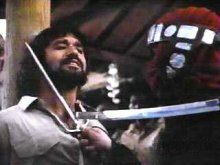 11) Which actor was well-known for his 80's ninja movies such as "Enter the Ninja" and "Revenge of the Ninja"? 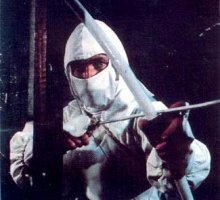 9) Who did Tom Cruise and Katsumoto suspect of sending ninja on an assassination mission in the 2003 semi-epic "The Last Samurai"? 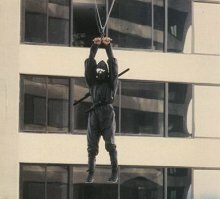 12) Which ninja VS movie HASN'T been made?